I recently had the privilege of working with a group of early childhood leaders representing the areas of early mathematics, professional development, early care and education, and public policy. The group collaborated to determine the best methods for providing professional development in early math for Illinois early care and education teachers (Beneke, 2013). Over the course of our work, I continued to learn more about what math competencies (i.e., processes, skills, and concepts) young children should learn and how they might learn them. While professional development was the focus of the committee, I often reflected on the potential of children’s involvement in project work to play an important role in helping teachers support the development of children’s early math knowledge and skills. 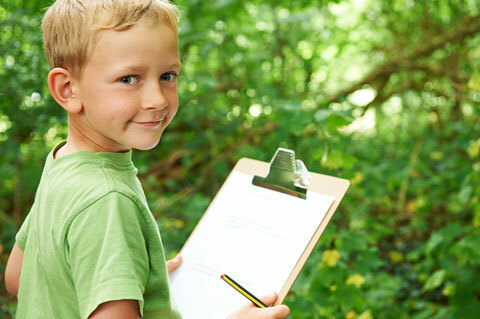 The Project Approach engages children’s interest and motivation through participation in child-initiated inquiry in collaboration with peers, and I believe these qualities are essential in high-quality learning experiences for 3- to 6-year-olds, who are at the preoperational stage of development. This is not to say that math competencies will spontaneously emerge as children engage in project work. Math competencies must be taught intentionally. Young children develop math competencies when their teachers know what math concepts and skills young children are most likely to be ready to learn and should know (Illinois State Board of Education, 2013) and when teachers know where each child’s individual level of progress and performance is in relation to mastery of those competencies. But this knowledge is only the beginning. To effectively teach mathematics to young children, teachers need to know each child well and provide opportunities to explore math concepts and skills in interesting, meaningful, and engaging situations that can be shared with peers who are at various stages of mastery. Enhance children’s natural interest in mathematics and their disposition to use it to make sense of their physical and social worlds. Build on children’s experience and knowledge, including their family, linguistic, cultural, and community backgrounds; their individual approaches to learning; and their informal knowledge. Base mathematics curriculum and teaching practices on knowledge of young children’s cognitive, linguistic, physical, and emotional development. It seems to me that project work provides an ideal context for putting these recommendations into practice. Project work can provide children with myriad opportunities to explore a topic through representations that employ understanding of number, geometry, and measurement of quantities. For example, a quick look at the projects submitted reveals many situations in which children explored math concepts in meaningful contexts. In The Tamale Project, the children sequenced the steps for making tamales. In The Cow Project, children explored spatial relations as they constructed a group representation of a cow, and they discussed and represented the length of the cow’s long tongue. The fish project provided the teacher and children with an opportunity to discuss the shape of fish and to initially represent it as an oval. The children explored quantity as they voted to determine next steps in construction of their class pet store, and they explored part-whole relationships as they constructed a three-dimensional model of a fish. In the airplane project, children graphed the number of airplanes seen in the sky during 30-minute intervals. The children explored shape and spatial relations as they designed and flew paper airplanes. In the Tools People Use project, the children explored number sense and sequencing as they developed and used an assembly line. The House Project provided children with many opportunities for counting, measuring, and positioning objects in space. In The Musical Project, children compared sizes, attributes, and patterns in the designs of musical instruments, ticket prices for musical performances, and money. In The Horse Project, children learned about size as they attempted to construct a halter that would fit the head of the horse they constructed. In the Cracks and Holes project, children measured the length of cracks in their playground surface. Project work can provide teachers with a range of rich opportunities for incidental teaching and reinforcing of math skills and competencies. While direct instruction is often appropriate for older children who have already achieved the stage of concrete operations, incidental teaching is more effective for 3- to 6-year-olds. Project work can help teachers to take advantage of their relationships with and knowledge about the interests and backgrounds of individual children to support the development of math competencies. Beneke, S. (2013). Early math in Illinois: Recognizing and raising the profile. 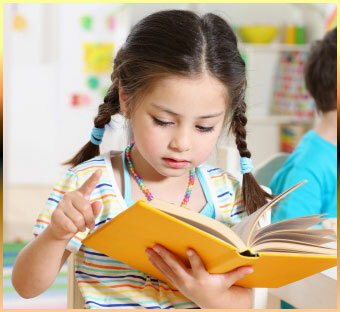 Bloomington, IL: Illinois Network of Child Care Resource & Referral Agencies. Illinois State Board of Education. (2013). Illinois early learning and development standards. Springfield, IL: Author. National Association for the Education of Young Children & National Council of Teachers of Mathematics. (2010). 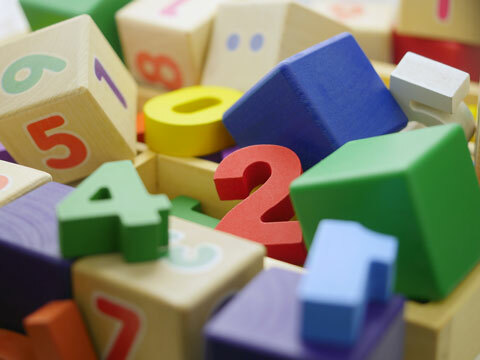 Early childhood mathematics: Promoting good beginnings.